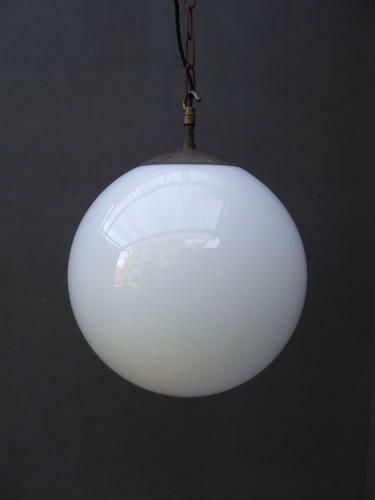 A beautiful large antique opaline glass pendant light. A simple opaline globe in a great size with its original copper monk's cap gallery & hanging hook, rewired in twisted black flex. ​Wear commensurate with age, gallery unrestored usual nibbles to the top rim which are hidden by the gallery. UK courier service available at £15 trackled & signed for 24 hour delivery.